Our retail is is the first thing that you will see when entering Hot Shots. With over 1,000 t-shirt designs for all ages. 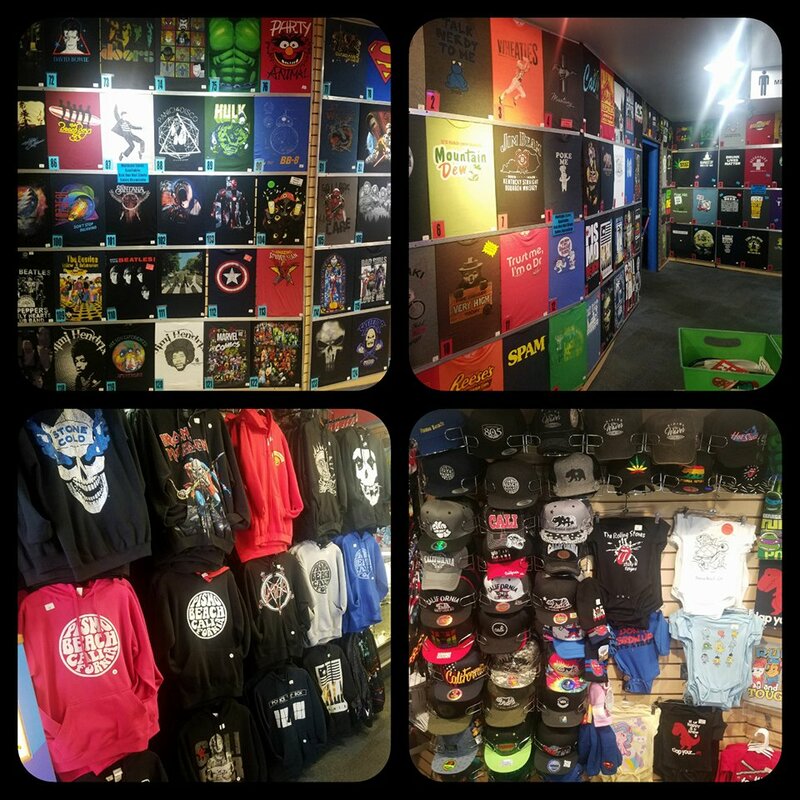 Everything from music, comic book, movies, billiards, beer and of course, Pismo Beach merchandise. We also have a Billiard pro shop with a variety of pool cues, cases, and accessories including gloves, pocket chalkers, and scuffers. With over 1000 designs on hand, we got a little bit of everything. Music, funny, tv shows and movies. You won't find this selection anywhere else! We have many cues to choose from. Also some great accessories like gloves, new and used balls, racks and chalk holders. A 1 stop shop for all your billiards need whether its at home or for your business. We have a great selection of stickers , patches, and pins from movies, music and comics and more. We have a wide range of unique Pismo Beach souvenirs including sweatshirts, t-shirts stickers, patches and glassware.